By imposing greater accountability by making a single entity responsible for both design and construction of a project, design build eliminates disputes between architects/engineers and the contractor, minimizes costly delays due to change orders, and reduces litigation. This approach has been shown to generate 15% – 20% in time savings over the design-bid-build approach and is gaining favor across the nation. In 2013, it was used in more than half of all construction projects in the US with budgets over $10 million. The Legislature’s inaction is particularly galling since New York State agencies are increasingly using design build throughout the state. Indeed, NYS Department of Transportation completed the recently opened Kosciusko Bridge in record time – just 3 years – using design build, which saved the State millions of dollar, and is currently using design build to construct the new Tappan Zee Bridge. During the recent legislative session, the BHA took the initiative to build community support for the design build legislation by reaching out to organizations across Brooklyn and marshalling their support of a letter to Governor Cuomo, Senate Majority Leader Flanagan, Assembly Speaker Heastie, and the entire Brooklyn and Queens State delegation. Read the BHA’s letter, with the names of 14 other signatories, and this fact sheet on Design-Build Basics. Despite the failure to get the bill passed during the recent session, the BHA will continue to prominently advocate for this legislation when the legislature reconvenes. The stakes are too high for Brooklyn Heights and the entire borough to not press our case. 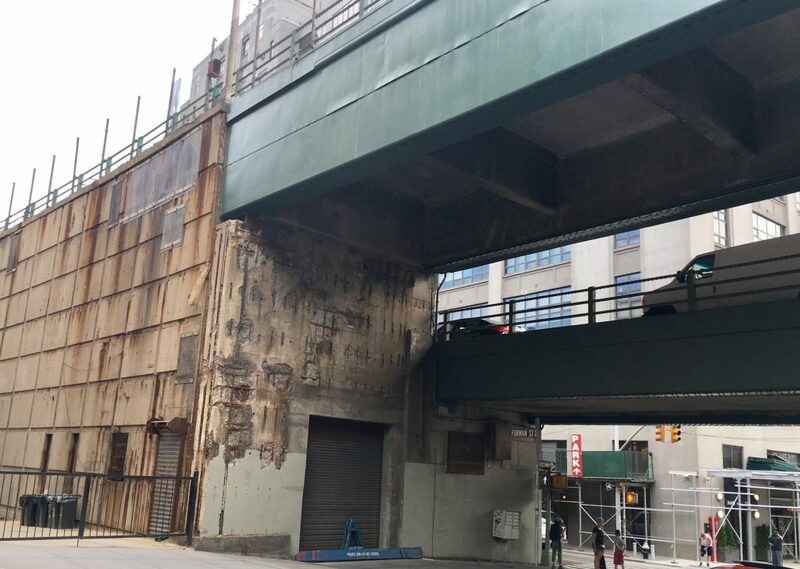 NYCDOT estimates that design build will shorten the projected 5 year construction period of the BQE Rehabilitation Project, thereby reducing the duration of environmental impacts on the Heights community, and save city taxpayers $113.4 million. These savings can then be used on other critical infrastructure projects in New York City to further improve the quality of our lives.